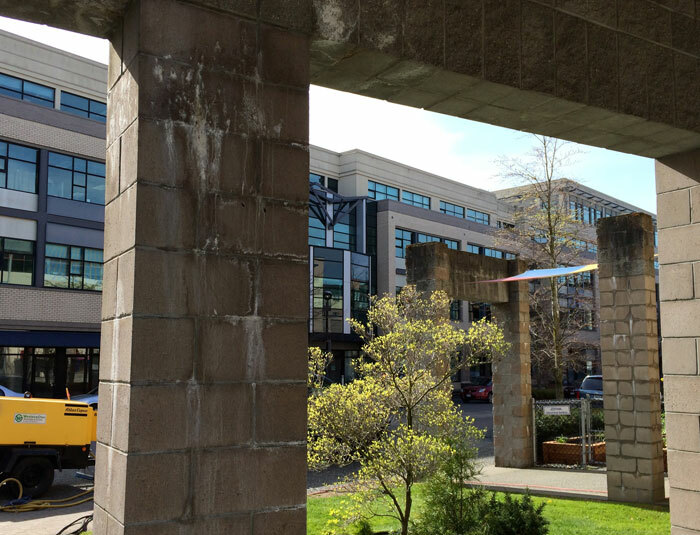 Mend was asked about removing efflorescence from the concrete block facade at the Selkirk Montessori in Victoria, BC. Sand blasting was not an option, as it would blow out the mortar in between the blocks, and pressure washing did not touch the problem areas. We showed up with our Rotec Vortex system and successfully removed the efflorescence that was seeping from the lime based mortar in quick fashion.